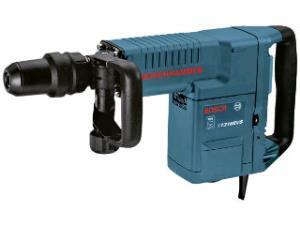 This Bosch chipping hammer features a variable speed dial, padded rear handle, as well as full positioning side handle to prevent user fatigue. It is perfect for breaking up brickwork, masonry, and concrete, and includes a point, chisel, and wide chisel in the box. Uses SDS-Max bits. * Please call us for any questions on our chipping hammer rentals in Hillsdale and Ridgewood NJ.